Considering it takes the average tech buyer nearly four to six months to make an online purchase and nearly three to four of those months consist of self-educating, inbound marketing is a very popular marketing method among technology companies. But what makes it so successful? Well, think of it this way – most technology companies originate from the need to solve a problem. By sharing content that presents the problem and educates your potential customers on how your solution or product can solve the problem, these businesses are often able to ‘sell before you sell’. What we mean with this is that by publishing this free and useful information, tech businesses are able to place themselves in a position of trust for these customers – and with trust comes credibility. In this blog, we will take a look at the effects of poor quality content and the different ways tech companies can improve their inbound marketing strategies using online feedback. An important concept to understand in the technology industry: it’s not about who can produce the most, but rather who can produce the best quality content and marketing resources to draw in your customers. Just because your latest white paper or ebook has been downloaded by your target audience doesn’t mean it’s necessarily quality content. It simply means you came up with an attractive topic and a good landing page. So just how important is the quality of your content? Well it is true of all industries that good quality content is a must, but according to Marketing Tech News, there is more risk in it for technology brands – they state that more than a third of your customers (34% to be exact) will switch to a competitor if content is poor in quality. Which makes you wonder, what are they thinking when they read your content and decide to go elsewhere? Well about 16% feel that if a tech brand produces low-level content, it’s highly likely that they also sell poor quality products. And just like that, they’re gone – off to find the next best option. Why use online feedback for inbound marketing? There are a number of reasons why you should work online feedback into your inbound marketing strategy. First and foremost, it can provide you with insight into how your target audience receives your content and/or campaign. For example, is it what your potential customers are looking for? Can they apply this knowledge to their own situation (e.g. is it relatable)? Does it make sense to them or is the level of information too in-depth or complex? Secondly, it allows you to make the right changes to your content or campaign so that it is indeed more useful or effective. For example, are you sending out newsletters too frequently? Or are your white papers just too long of a read? Perhaps your readers are looking for something more brief and to the point – like a ‘Quick Guide’. This feedback will give you the opportunity to optimise or create resources that effectively meet the needs of your customers. And of course, it gives you the chance to catch the small things. As we previously mentioned, factors such as grammatical errors or misspellings can put a customer off to your brand. However, with feedback from your customers, you’ll be better equipped to catch these mistakes and enhance your content for future visitors. How do you collect this online feedback? This method is a more passive approach to asking your visitors for feedback on your content and is intended for online content only, such as knowledge bases, blog articles, FAQs, online communities, news pages, forums, etc. Let’s use Slack’s Help Center as an example. They have written up several articles for their Help Center to guide customers in using their tool. In this case they have written up a guide for users to help them get started with Slack. At the end of the instructions, they ask the reader to answer a (Yes/No) question regarding the usefulness or helpfulness of the content (see below). Keep in mind this is one way of asking, however there are also alternatives such as ratings (e.g. star rating, 1-10 rating, etc). Should the user select ‘No’, an open-ended text field will appear where he/she can explain why the content was not helpful. Using this feedback, you can get an idea of how useful the content on this particular was for your visitors and if there are any points for improvement. Alternatively, you can trigger a feedback form to appear in an overlay on the page. 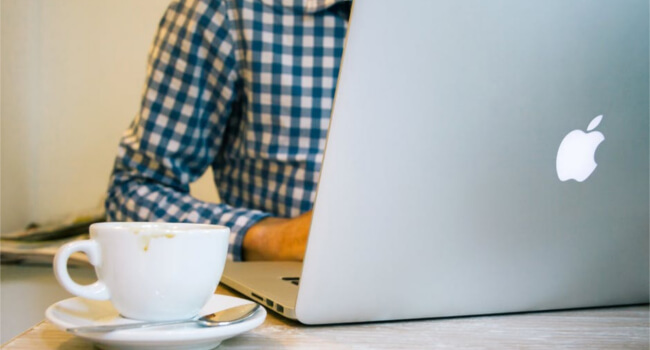 In this manner, you can extract particularly interesting feedback because if the visitor has scrolled all the way down on a webpage, it is typically an indication that they’ve read the whole page through and/or cannot find the information they need. This can be used for almost any page on your website. For technology companies, this could be at the end of an FAQ page, blog article, forum, etc. In the event that the user selects “No” for any of these questions, the next step is to either provide with them with opportunity to submit an explanation (via an open question) or provide them with a question and multiple answer options including an option, “Other” with an open answer section. These forms can also be placed on virtually any page of your website. An example of this for tech companies could be an instruction page for product or software use. 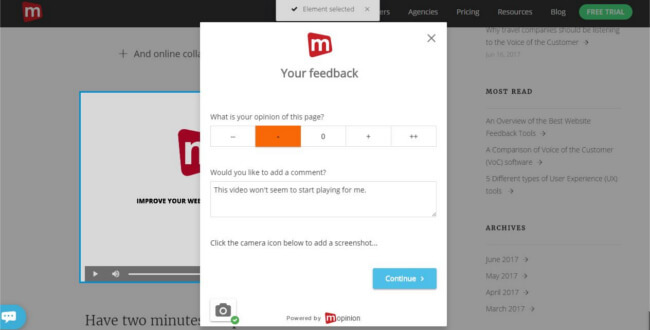 Visual feedback is another great way of optimising online content for tech companies. With this technology, visitors can highlight a web page element (which is rendered into a screenshot) and submit feedback on that particular element. Being able to identify these issues allows tech companies to make instant improvements to content and website usability – two factors which are very important to these businesses if they want to increase online conversions. This includes pinpointing any friction points at page level, including unresponsive or confusing gestures, too many unused features, etc. In terms of content for tech companies in particular, this could be product videos, user manuals, FAQs, or even blog posts. Say, for example, you have added a product video to show how your product can be used. Should something still be unclear either with the video’s content or the functionality of the video, using visual feedback, your website visitors can highlight the video (or another element on the page that they want to bring attention to) and provide feedback on that element. This is also helpful for pinpointing specific textual elements such as grammatical errors or unclear content on pages with a lot of text. For example, a blog article or an FAQ page. For more information on how to collect and analyse visual feedback, check out this article. Curious how visual feedback can be used in web design as well? Find out how here. The first way to collect feedback on offline content is through email surveys. 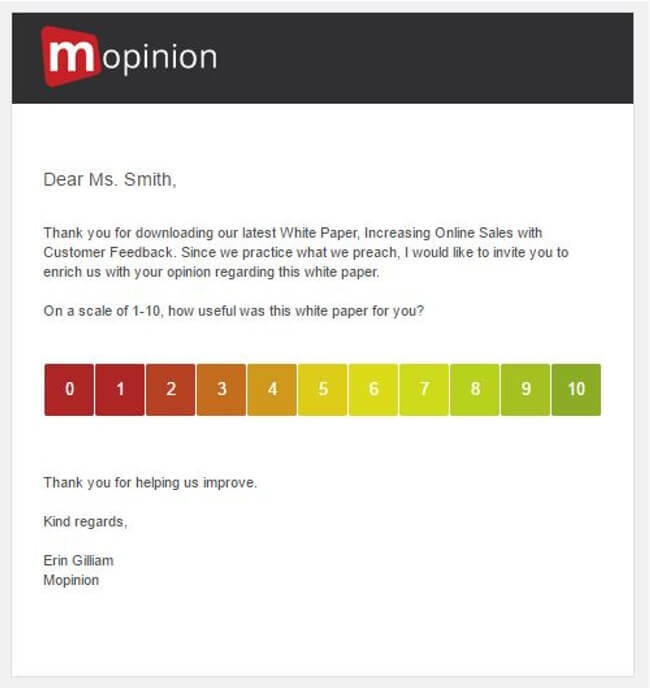 Using this type of feedback, marketers can gain insight into what potential customers think of their content after reading, such as newsletters and ‘downloadables’ (e.g. white papers, ebooks, etc), by sending a follow-up feedback request, or survey invite. Was this white paper helpful? The second option is to embed a feedback question (as an HTML widget) into an email itself. This is type of feedback collection is geared towards measuring email content rather than downloadable content, such as white papers, etc. In this case, you can ask your readers – for example – What did you think of this newsletter? – providing them with options such as thumbs up or thumbs down or a rating. Once they click on an option, let’s say they choose thumbs down, they are redirected to a landing page where they are asked for an explanation. See example below. Once you’ve decided your course of action, the next step is to start analysing and acting upon this feedback. So get your editors and content team involved and start optimising your content. And don’t stop there, feedback is a continuous process so in order to see if these changes are leading to better feedback scores, it’s important to monitor your results continuously. 5 Kinds of UX Tools for Tech Companies and What does the online customer journey look like for tech companies.